No Fee! 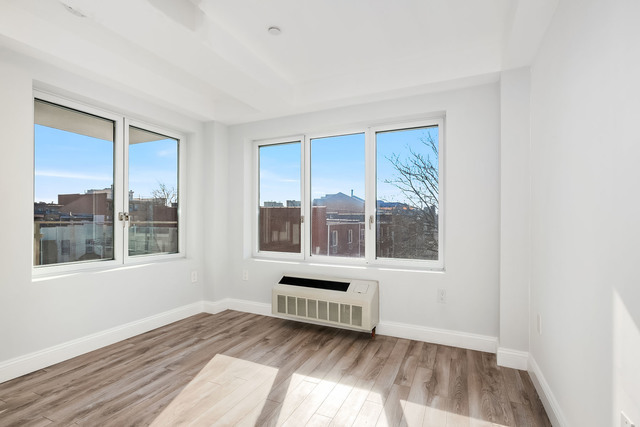 The premier of this spectacular 1 bedroom condo available for rent at The Slate in Astoria. 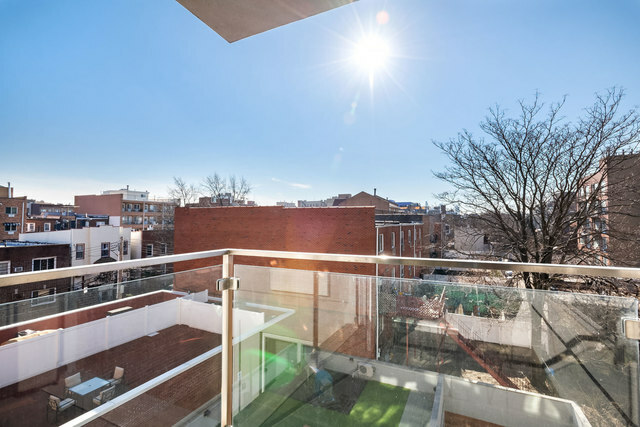 Residence 404 gets tons of light, southern exposure, and includes a private balcony. 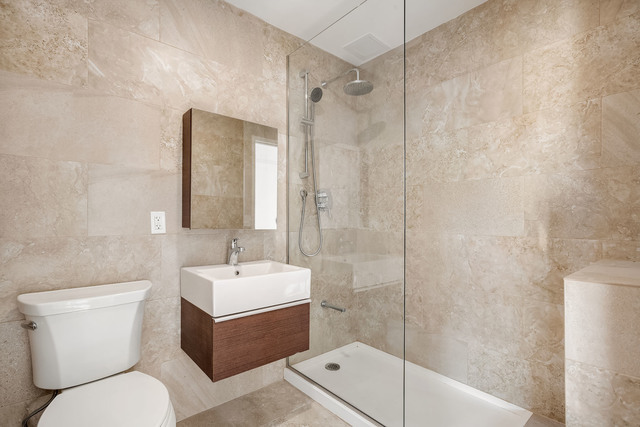 The apartment features hardwood floors, GE stainless steel appliances, and the bathroom includes a glass enclosed shower and tiling throughout. 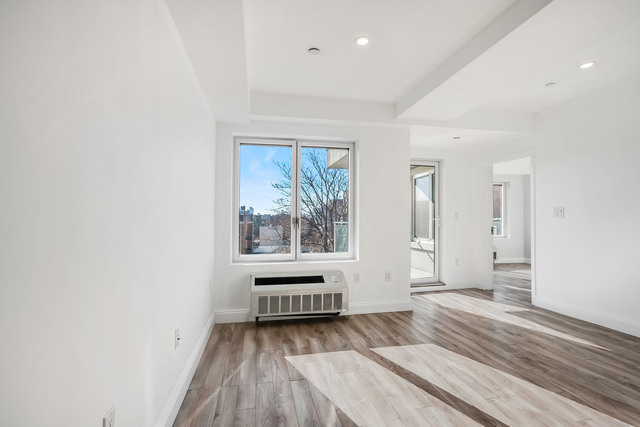 The open functional layout in this unit is great for entertaining and can easily fit a nice furniture set. 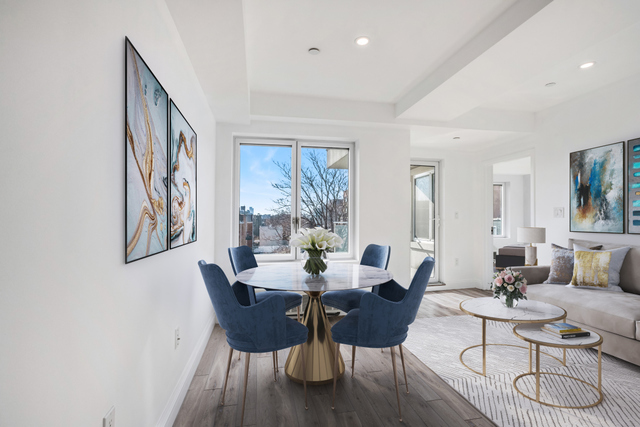 This newly developed boutique 28 unit condominium offers residents a fully furnished rooftop deck with breathtaking NYC skyline views. The 1st level deck includes fully equipped spacious fitness center. On the second floor there is an outdoor pet play area - great for lounging. There is also a laundry room in the building (card-operated) offered to the residents on the first floor. No condo application fees! 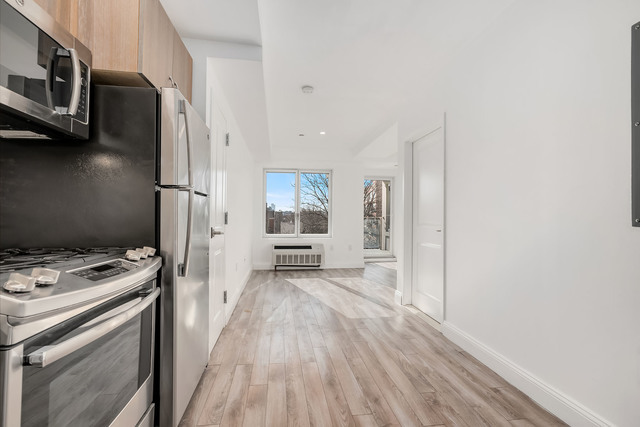 Located 1 block from the Astoria Blvd N/W train hub and 15 minutes to Midtown. *Astoria Blvd is currently closed for renovations  6 minute walk to the next stop closer to Manhattan - 30th Avenue station N/W trains*. 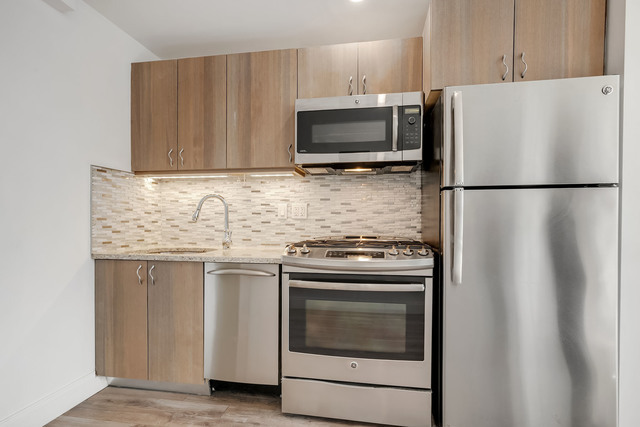 Prime central location close to restaurants, cafes, groceries, highways, and buses. Pets allowed with additional pet deposit. *Parking spot available in the building garage additional $300/month.